Evocative of times gone past, maybe, yet there’s a timeless appeal to the sight of youngsters enjoying the simper things in life and essentially ‘living for the moment’. And when the only props you ever need don’t cost parents the metaphoric arm and a leg. 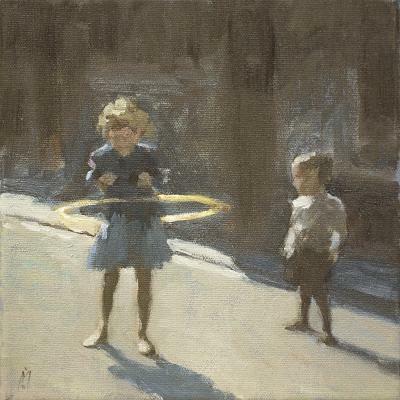 Someone who has done their fair share of living for the (creative) moments which have ultimately guided him to where he artistically finds himself today, is much-hyped contemporary figurative art exponent, Nigel Mason. Having previously enjoyed tenures as a TV set designer, art teacher and rock musician, you might say that it was inevitable that Mason would end up painting for a living; especially given that his formative years were spent both chasing the dream and Picasso exhibitions on the continent (more in his bio). 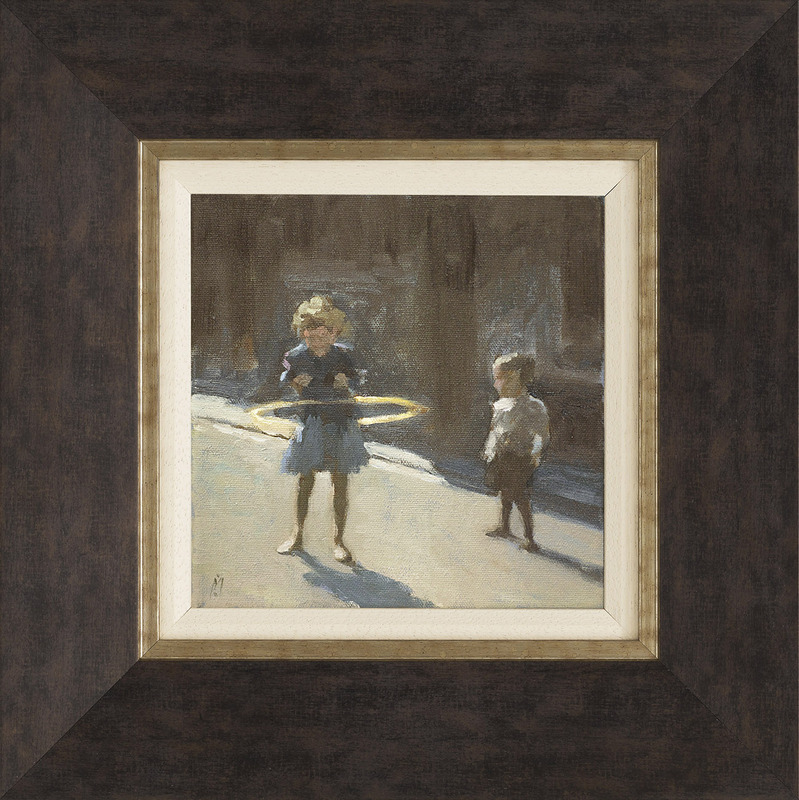 This Spring 2016 though sees the emergence of Mason’s debut limited editions collection, whereby this giclee on canvas vignette – entitled ‘Hoola Hoop’ - forms an illustratively inviting part of.